Lens Design Support Co., Ltd.
An optical design is not necessarily "Being able to perform, if you learn how to use optical software. "Furthermore, it is not necessarily "Being able to perform, if the software of expensive optics is used. "Our role mission is that tell many young engineers, standardizing the design procedure and technique. Ten minutes on foot from east exit of JR Shin-Osaka Station. Eight minutes on foot from Nishinakajima-Minamikata Station of subway Midosuji line. Support program development and sales of optical design. Education of lens development engineer. From a request to delivery of goods. We will support the resolution of various problems that may occur in the development and design stage. For your needs, we will do accurate and courteous advice. We will respond a wide consultation of the optical fields, such as a trial production and evaluation. Seminar Education of Optical engineer "Actual from the basic of the lens design". Proposal of the lens optical design technique and environment. Consultation and Advice on challenge that occur in planning and development. Suggestions of measuring instruments required by the performance evaluation and product inspection. Suggestions of analysis simulation software for new research and development. of a fixed period for optical designer. According on the theme of demand, we teach carefully. Dates and locations, time per one time, and about price, we will adjusted in consultation. 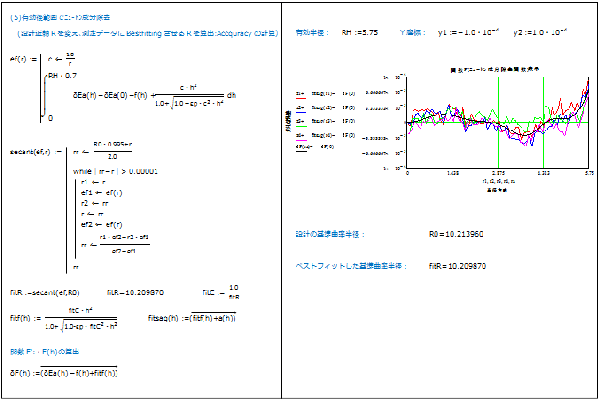 lens design support program "OptiMath"
1. Zoom/Movement of the focus. 3. Third-order aberration coefficients of thin single lens. 5. Ray aberration / Wavefront aberration. 6. Intensity distribution / OTF. 7. Ray aberration optimization. 1. Spherical evaluation. 3. Luminosity / Illuminance distribution. 4. Illuminance distribution optimization. 1. Magnification / Diopter. Duty career Tamron Co., Ltd. Independently in October 2009, to establish the Lenses Design Support Co., Ltd.
Design development of the conversion lens. Optical design of thin winding zoom lens for digital camera. Design development of a zoom lens for surveillance. Optical design of the objective lens for CD/DVD. Optical design of zoom lens for overhead camera. Design and trial of in-vehicle fish eye lens. Optical design for image Stabilization zoom lens of HD camera. Design development of the world smallest zoom lens for camcorders. Follow up of direct sales for aspherical lens. 3CCD-type zoom lens, prism design and trial manufacture. Program Development for the design evaluation of an aspherical lens. Copyright(C)　LDS　Co.,Ltd. All rights　reserved.